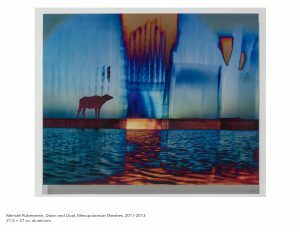 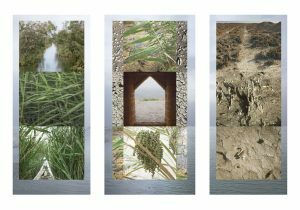 [Rubenstein’s] series Eden in Iraq explores environmental devastation and renewal in the marshes of southern Iraq, where the Tigris and Euphrates rivers meet, near the site of Biblical Eden on earth. 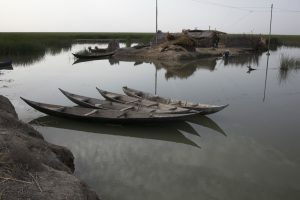 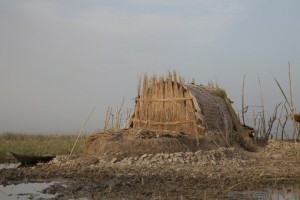 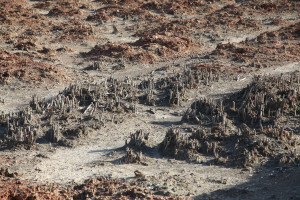 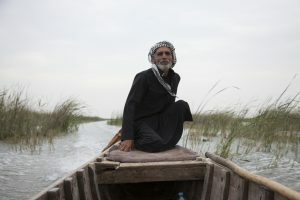 In 1991, after popular uprisings that emerged during a cease-fire of the Gulf War, Saddam Hussein drained the Iraq wetlands, turning it into a desert and displacing the Marsh Arabs. 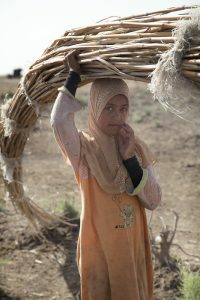 Twelve years later, the U.S. War in Iraq, which many critics deemed a “war for oil,” wrought military destruction across the land and reinvigorated the demand for fossil fuels in the United States. 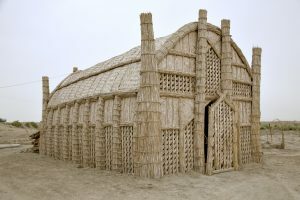 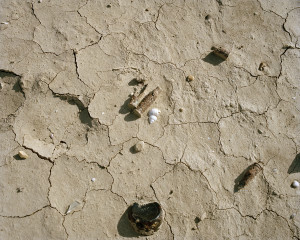 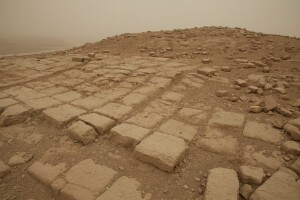 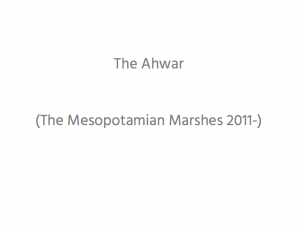 Rubenstein’s Temple of lnanna at Uruk evokes this double history of ecological devastation in Iraq, mirroring bullet shells with the shells of marsh snails. 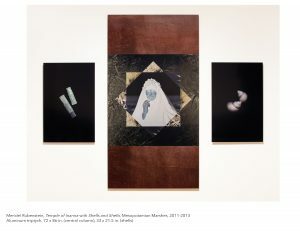 These two different kinds of casings flank an image of a woman who represents the goddess lnanna, framed in her eight-pointed star, set in the greenery of a renewed marshland. 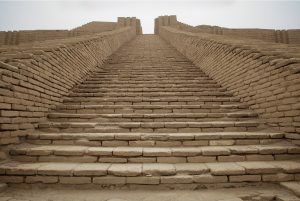 lnanna, goddess of love and war, was patron deity of the city of Uruk and the most revered goddess of ancient Mesopotamia. 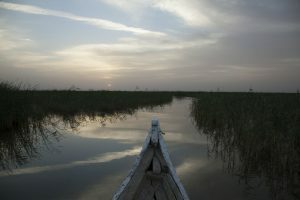 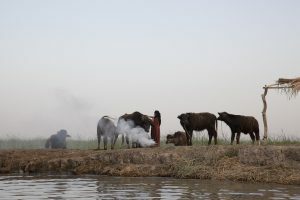 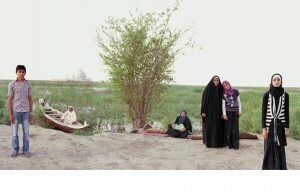 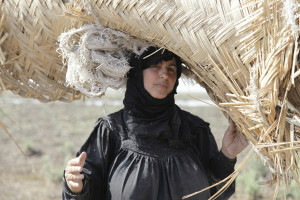 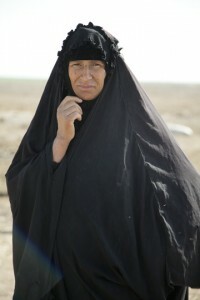 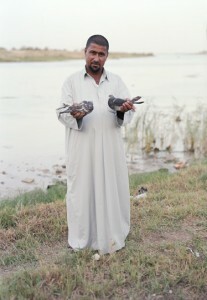 Responsible for “the redistribution of resources and fertility of the earth,” lnanna serves as an appropriate symbol for the re-greening of the Iraq marshlands in Eden in Iraq. 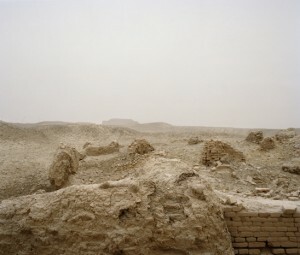 In Temple of lnanna at Uruk Rubenstein presents lnanna in negative, as if she is a latent power waiting to re-emerge and restore the marshes. 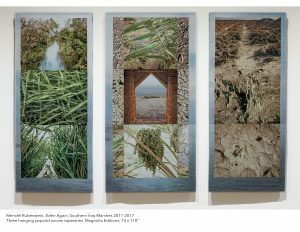 As Rubenstein considers the ways in which military offensives and scientific efforts have linked people globally and effect­ed earth systems planetarily, she also tacks back to the local scale, grounding some of her investigations in the lived space of the home. 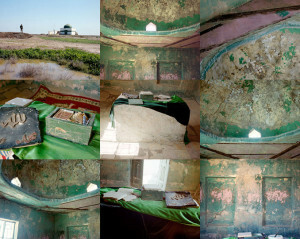 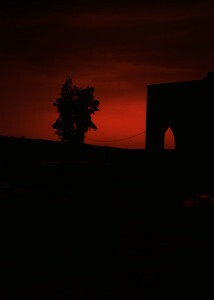 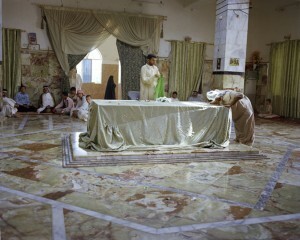 In one piece in Eden in Iraq the lime-green cabinets of a kitchen are framed by images of a wide river and the dry, baked-earth remnants of an ancient structure. 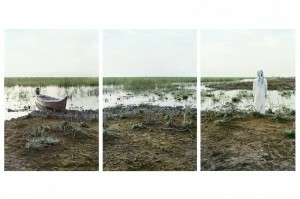 These images are framed again by images of the re-greening marshes. 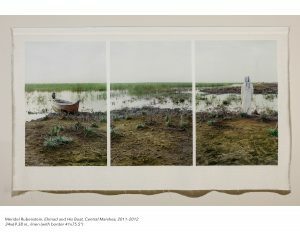 The bright green of the kitchen cabinets recalls the renewing landscape of the marshes outside, and the piece subtly links daily sustenance to ecological regeneration. 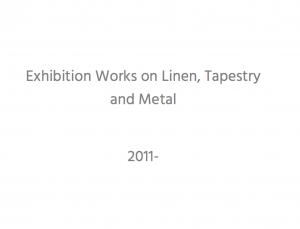 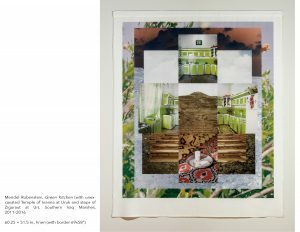 Produced [on linen], the work suggests that daily human needs are literally intertwined with larger earth systems. 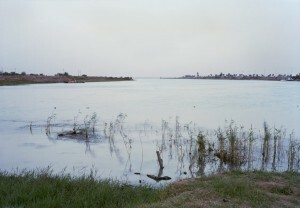 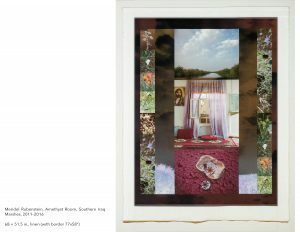 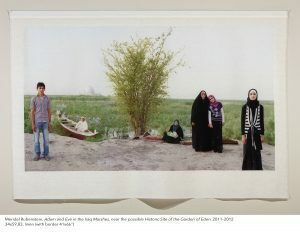 Rubenstein’s series Eden in Iraq corresponds to a larger project in which she is building a literal garden outside of the town of [El Chibaish], across from the new Mesopotamian Marshes National Park in southern Iraq. 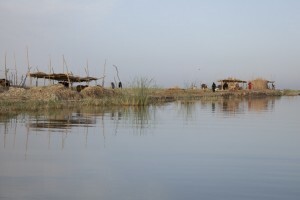 Sponsored by the NGO Nature Iraq, this environmental artwork is part of a major re-greening effort underway in the region. 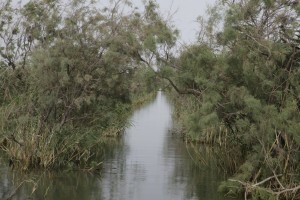 Here Rubenstein will construct a wetlands to process sewage from the town to provide water for the garden. 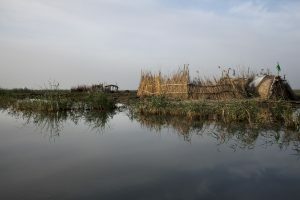 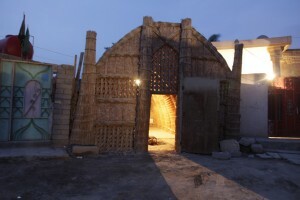 As a literal regeneration of the marshes and a symbolic regeneration of the Garden of Eden, the site will be an emblem of repair in the age of the Anthropocene.